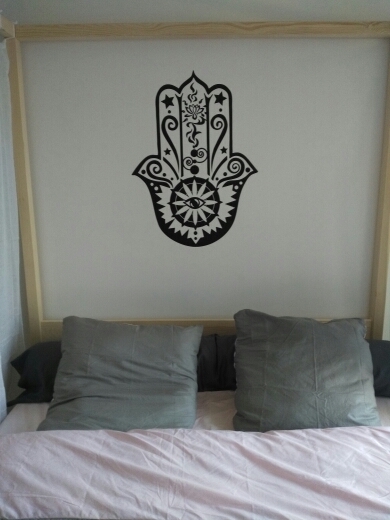 Our Hamsa Hand Wall Sticker is brilliant. Made of eco-friendly vinyl material, great sticker for your walls to make your family and life more colorful. Ideal for smooth flat surfaces like painting walls, ceramic walls, wooden surfaces, metal surfaces, glass surfaces, and plastic surfaces. All good with the sticker, I touthg it was bigger but is ok. Quick shipping. super! qualité nickel. très beau rendu.